Back in the office, I have been working on plans for my summer project. 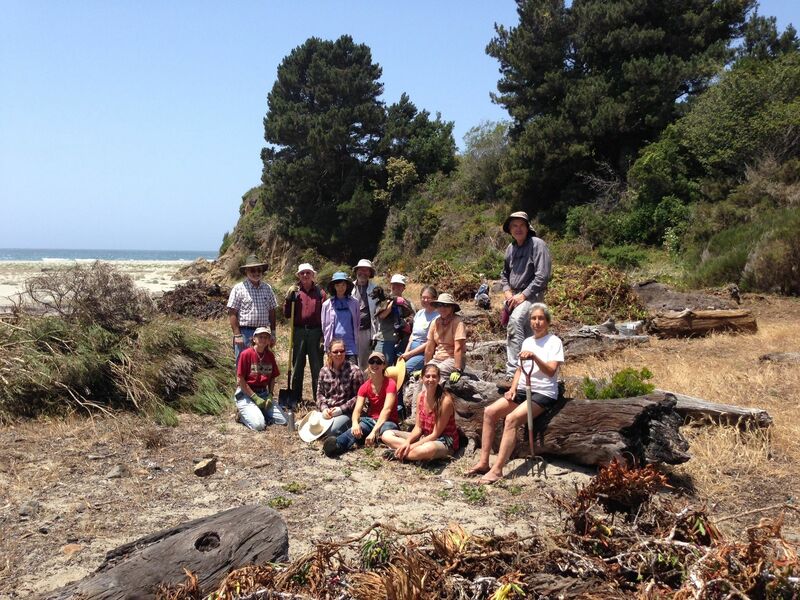 To help restore salmon habitat, the Mendocino Land Trust is working with the California Conservation Corps to install large woody debris (LWD) in area called Russell Brook. Over the years, lots of wood was removed from this river, creating chutes with fast-moving water (making spawning more difficult) and fine sediment buildup (choking eggs). Hopefully by installing this large woody debris, pools will be able to form, water temperatures will drop, stones will be redistributed, and water velocity will slow; all of these things allow salmon to thrive. My job is to ensure those changes are really happening through pre- and post- monitoring of these large woody debris sites. I will mostly focus on the pre-monitoring part of this project, since winter storms are crucial for post-monitoring data to be useful. Salmon are considered a keystone species, meaning they are critical for ecosystems worldwide to be healthy, so I am really excited to work in this realm of research and produce some valuable data. I have come out of these last ten days knowing not only some bird calls and field terminology, but also with a better sense of this small but mightily motivated community. The degree of inter-organization cooperation is really impressive; we at the Land Trust can make a call to the California Conservation Corps , the California Department of Fish and Wildlife, or any of our great volunteers to get input on developing or ongoing projects. Overall the environment is very supportive and forward-thinking, and constantly pushes me to work towards conservation and restoration.